Federal Trade Commission Chairwoman Edith Ramirez announced her resignation today as the Obama Administration enters its final week. Ramirez's resignation will be effective Feb. 10. She was named chairwoman on March 4, 2013, and has served as an FTC commissioner since April 5, 2010, following her appointment by President Obama. “Edith Ramirez has been a leader in efforts to promote privacy protections for emerging technologies, stop unethical business practices, and inform consumers as they navigate the marketplace," said Rep Jan Schakowsky (D-Ill.), Ranking Member of the House subcommittee on consumer protection. "Under Chairwoman Ramirez, the Federal Trade Commission saved consumers billions of dollars through its enforcement actions." Ramirez said in her announcement that she had prioritized protecting consumers and promoting competition in the technology and healthcare sectors, safeguarding consumer privacy and data security in the online world, and protecting diverse communities from deceptive and unfair practices and scams. 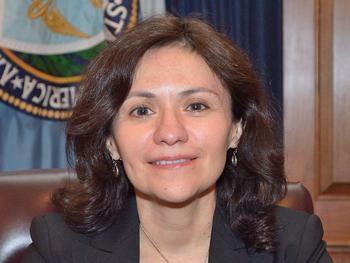 During her tenure, the FTC brought nearly 400 law enforcement actions covering a range of consumer protection issues and approximately 100 enforcement actions challenging anticompetitive mergers and business conduct in major sectors of the economy, including the healthcare provider, pharmaceutical, retail, and energy markets. reimbursements of tens of millions of dollars to consumers whose mobile phone bills were “crammed” with unauthorized charges. Notable FTC actions included the agency’s successful challenges to the mergers of Sysco and U.S. Foods, Staples and Office Depot, and several hospital mergers. The FTC also won an action against Amazon for its unauthorized charges in children’s apps and a federal appeals court decision in the Wyndham Hotels case upholding the FTC’s authority to bring enforcement actions for unreasonable data security practices.